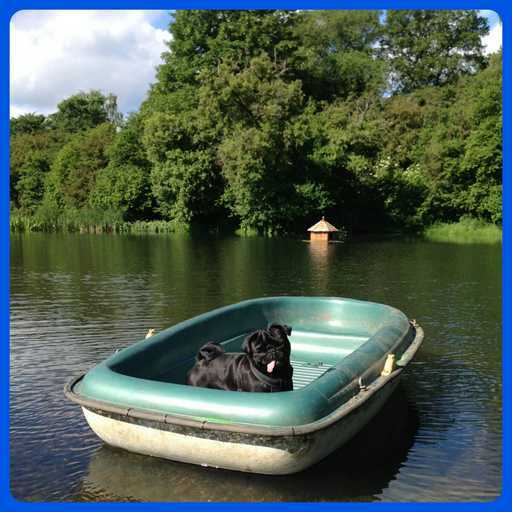 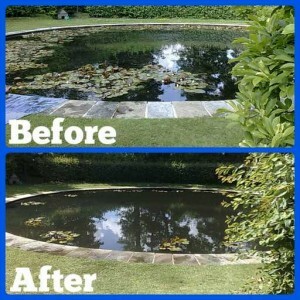 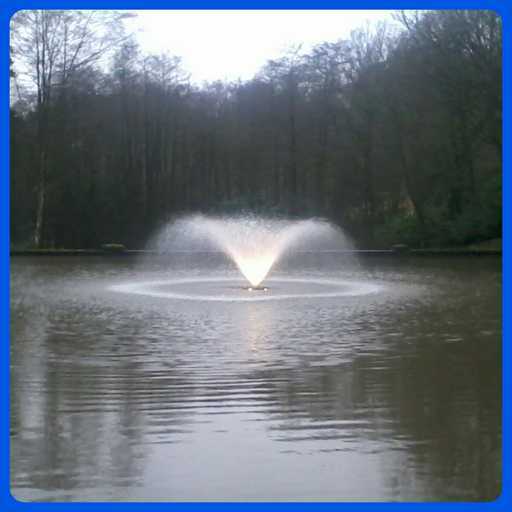 All ponds and lakes, no matter how big or small, require a degree of maintenance. 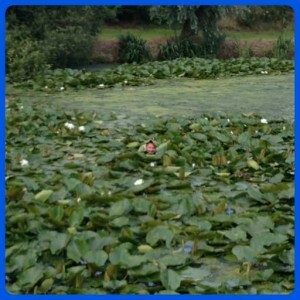 Some require more than others depending on what is living and growing in it and around it. 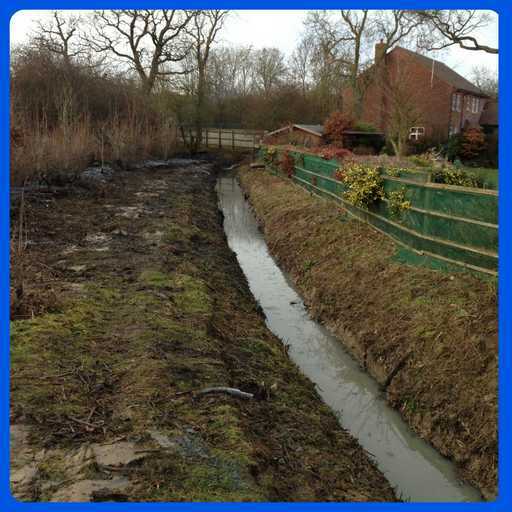 It is in every watercourses nature to become dry land, and without maintenance this can happen quicker than you would expect. 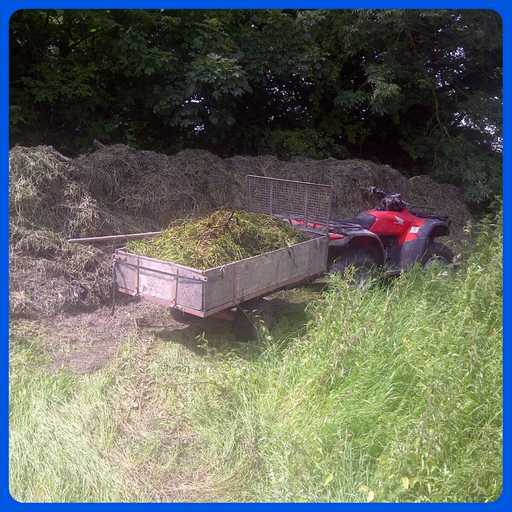 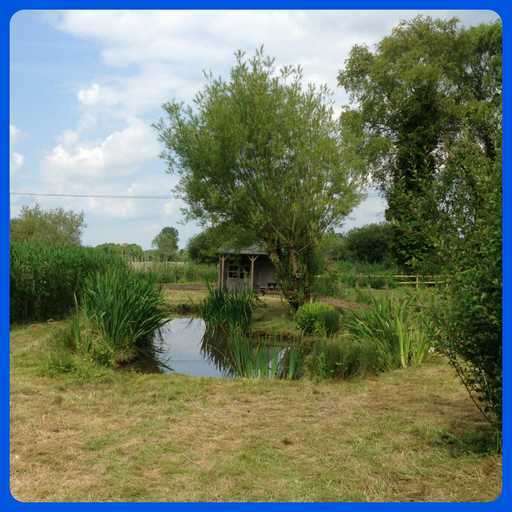 Most of our work involves a manual clearance of some kind, whether it is removing a percentage of invasive, encroaching reeds to a manageable level or the complete eradication of an unwanted species. 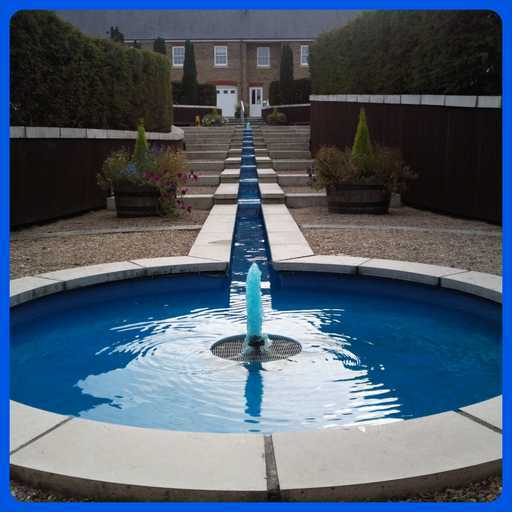 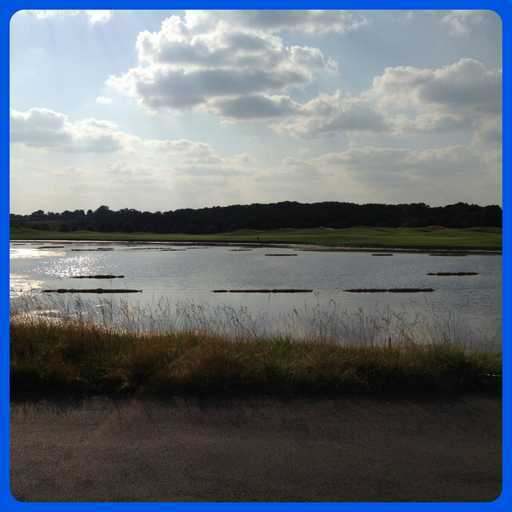 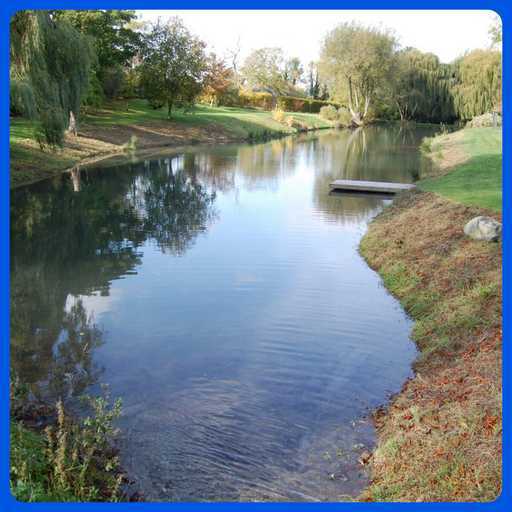 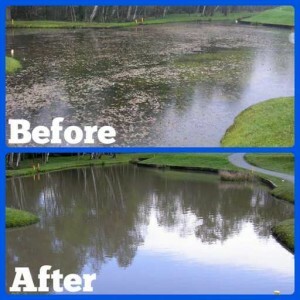 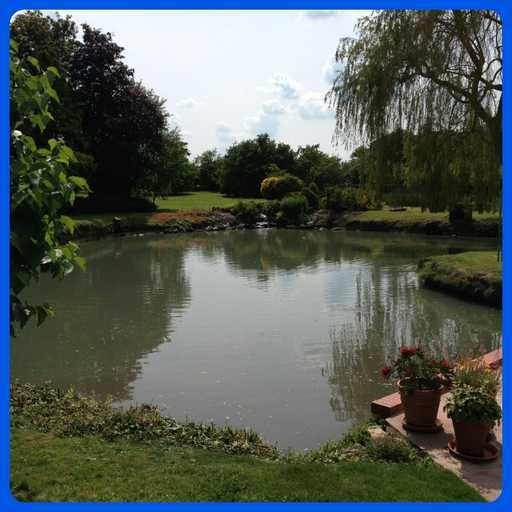 We have a team of hard working and experienced staff that can restore any lake or pond to its former glory and then offer a maintenance program tailored to your requirements to ensure the watercourse looks pristine all year round. 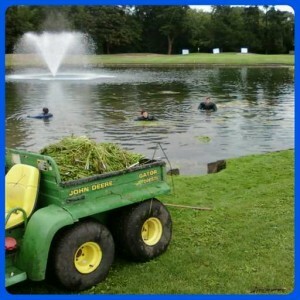 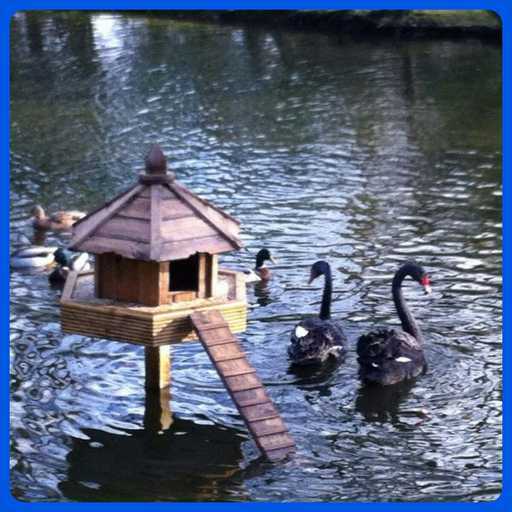 Every pond and lake is different so all factors are considered before advising and implementing any maintenance. 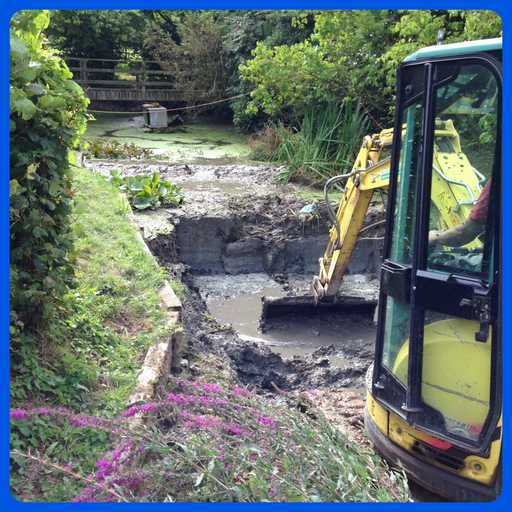 We opt for manual removal over the use of big machines where possible, as it is more sensitive to the aquatic environment and there is less of trail left behind so you can enjoy your water feature as soon as the work is completed. 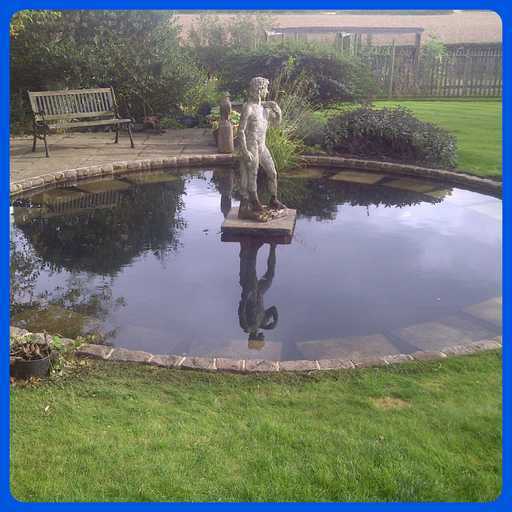 We make sure all working areas are immaculate when we leave and take every precaution necessary to ensure the surrounding area is left as we find it. 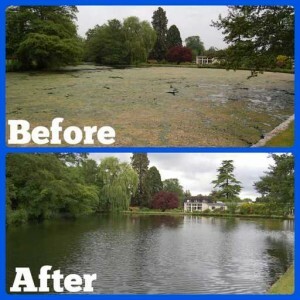 Since the ban of granular aquatic herbicides in the UK, there are very few options left to get rid of unwanted weed and algae. 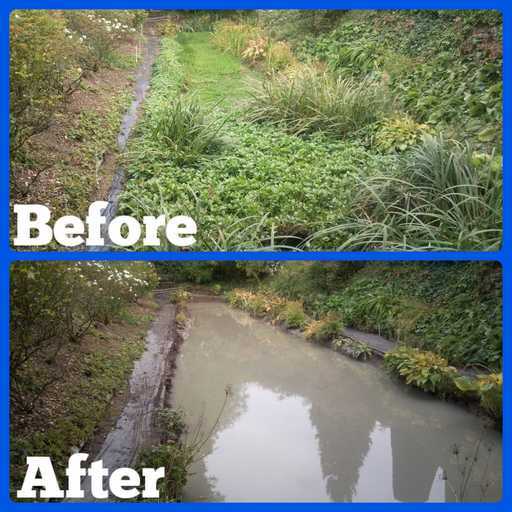 Manual clearance is the best way to remove it but often ongoing maintenance is required as well as the application of our Lake Shadow and Clearwater Crystal to minimise future growth. 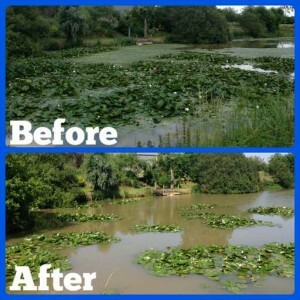 A percentage of weed is healthy and essential to ponds and lakes as it provides oxygen to the water as well as being a habitat for aquatic life and will act as a natural filter to the water, so we advise our clients looking for total eradication that this is not recommended. 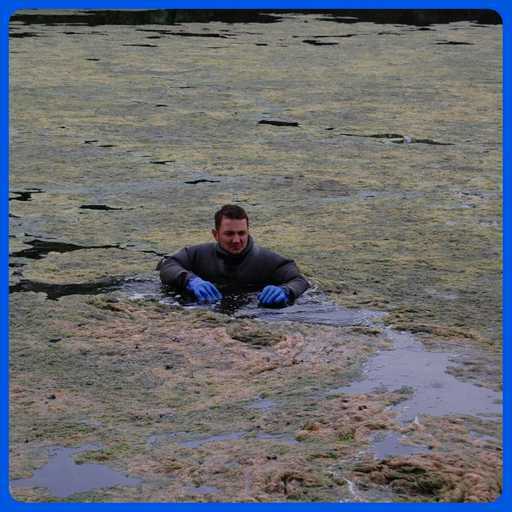 It is possible to remove an entire species of weed such as the non native Elodea Canadensis (Canadian Pondweed) from a pond but then we advise the introduction of different submerged weed such as Hottonia palustris (Water Violet). Blanket weed is very unsightly and can literally cover the surface of a pond or lake overnight in the warmer months, consuming valuable oxygen that all aquatic life requires to survive. 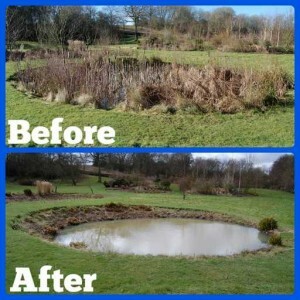 We are specialists in removing blanket weed and then preventing its return. 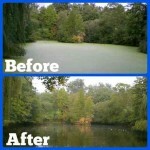 We use a combination of our experience, proven methods and products to keep blanket weed at bay. 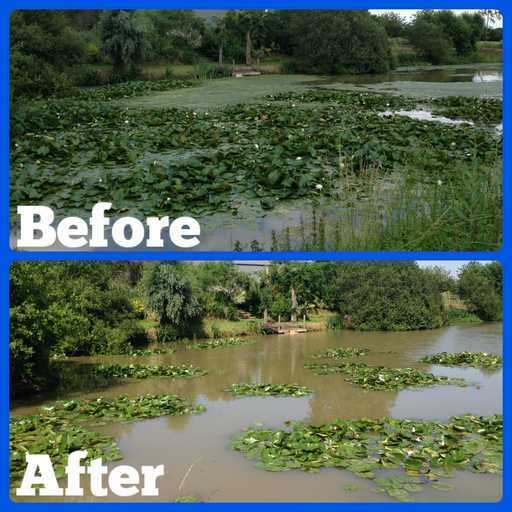 On very large lakes where it becomes expensive to control blanket weed with our Clearwater Crystal we recommend barley straw application and Lake Shadow as these tend to be more cost effective solutions. Lemna Minor (common duckweed) is another species that can form and spread over the entire surface of a watercourse in a matter of days. 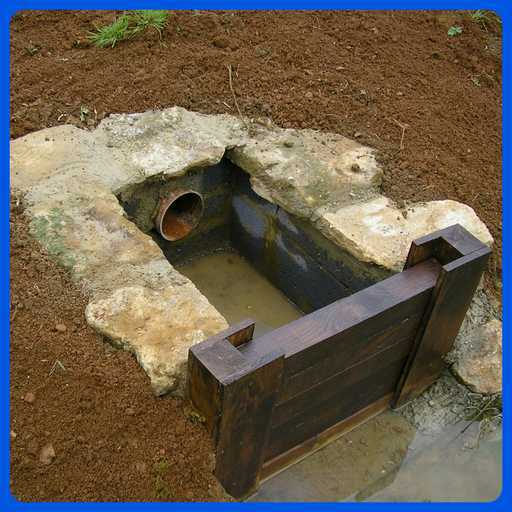 It is often introduced by wildfowl or from run offs from drainage ditches. 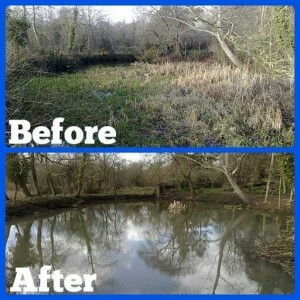 If seems to thrive more on very still, stagnant and silty watercourses that get little sunlight as there is an abundance of unmanaged bank side trees. We have successfully carried out scores of duckweed clearances for a number of happy clients. 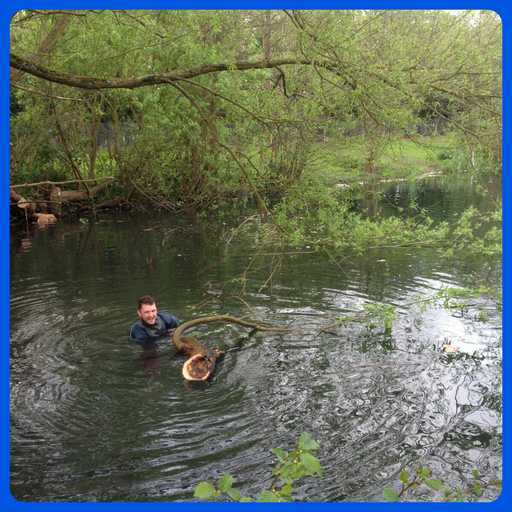 We once removed approximately 12 tonnes of the stuff from 3 lakes at Waterlow Park in Highgate, London and were a bit hit with the local community and press. 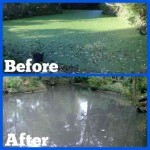 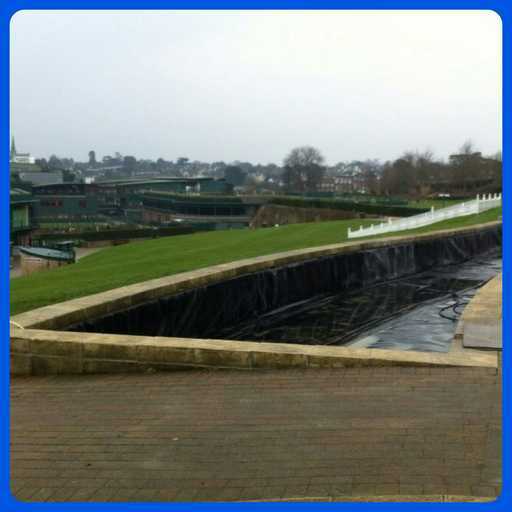 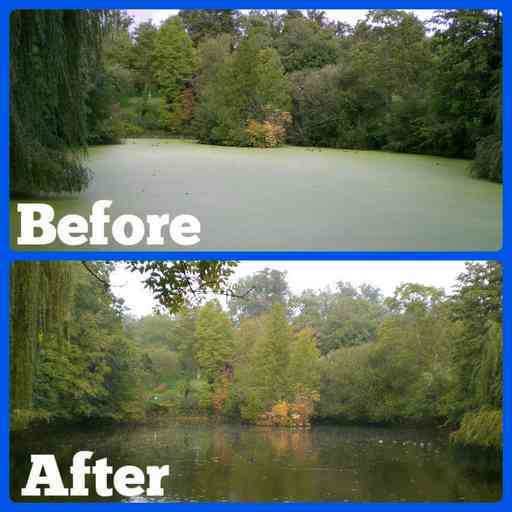 Feel free to browse our duckweed removal gallery for some examples of this work we have undertaken. 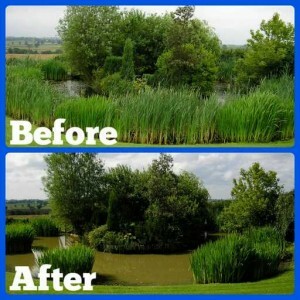 We regularly carryout manual clearance work on ponds and lakes that are completely full of Typha (Reedmace or Bulrush), Phragmites (Norfolk Reeds) and other soft rushes and plants. Sometimes our clients request total eradication; others prefer to leave a band around the edge or clumps dotted around as they make excellent cover for wildfowl. Phragmites in particular have additional benefits to the water as they act a natural filter by consuming waste matter within the water so we always advise leaving a percentage behind. Any reeds and rushes left unmanaged will soon spread all over the watercourse (although not in areas deeper than 6ft as a guide), especially if there is excessive silt and detritus present. 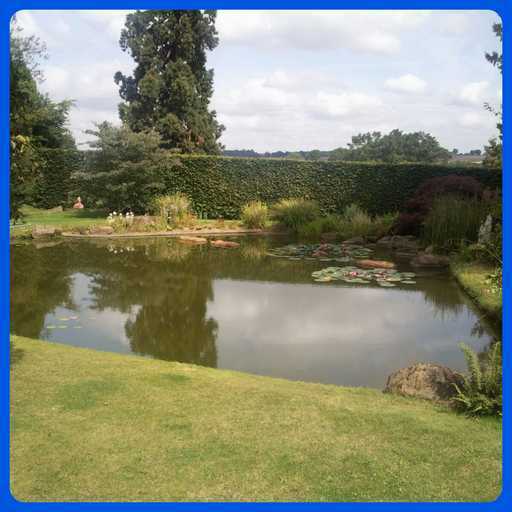 Water lilies, in our opinion, are the most attractive plant that can be found on any pond or lake. 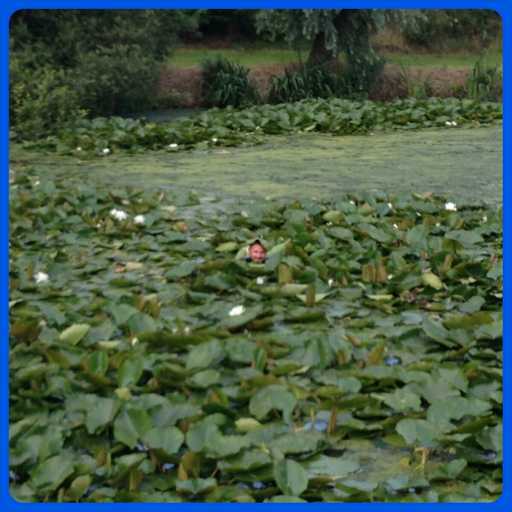 They are the inspiration behind our company logo and Ben even named his daughter, Alba, after Nymphaea alba (white water lily). 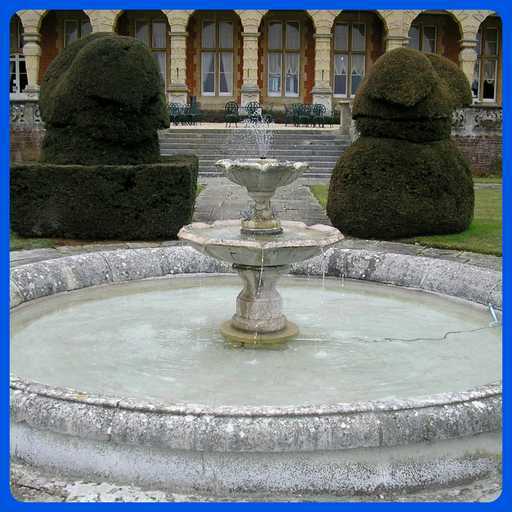 They can however look unsightly if left unmanaged as there becomes an excess of leaves growing on top of one another preventing the growth of flowers. It is very rare that a client asks for total eradication of their water lilies, but nearly all require them being split up, some disposed of or transferred into another watercourse. 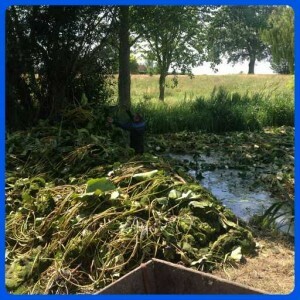 We are very experienced in the management and replanting of water lilies. 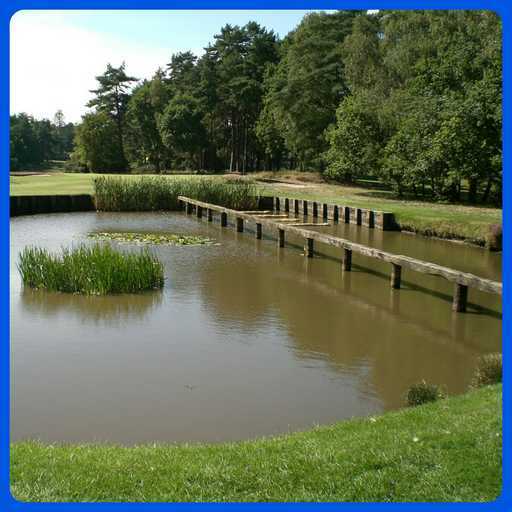 The process can be very hard work, particularly in deeper water but our unrivalled methods and experience ensure the desired result is achieved.